Why should I enrol in this course? This course will enable a student you to become a licensed split system installer. 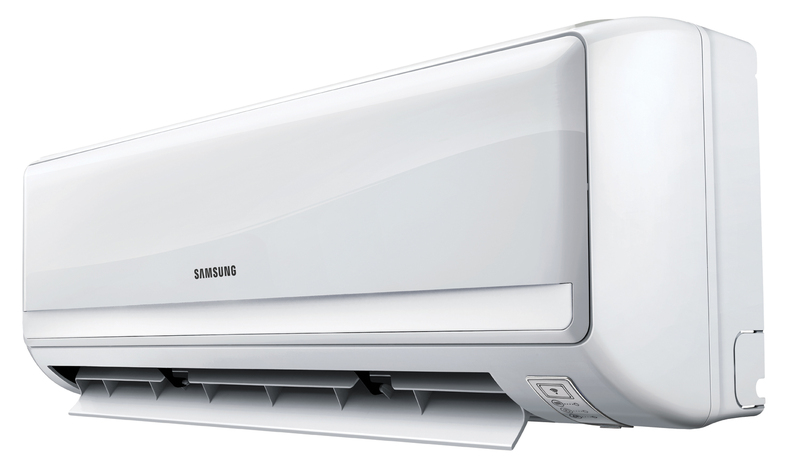 With this license you will be able install split air conditioning units and systems in a large variety of places, applications and environments. You will learn how to install, commission and de-commission single head, split air-conditioning and heat pump systems to a prescribed routine where the maximum plant capacity for each system does not exceed 18 kWr. This course includes the RPL process in order to reduce the course duration. What type of systems does this cover? UEE20111 – Certificate II in Split Air Conditioning and Heat Pump Systems is designed for Electricians who need to install Split Air conditioners/ Heat Pump systems or split system hot water systems. 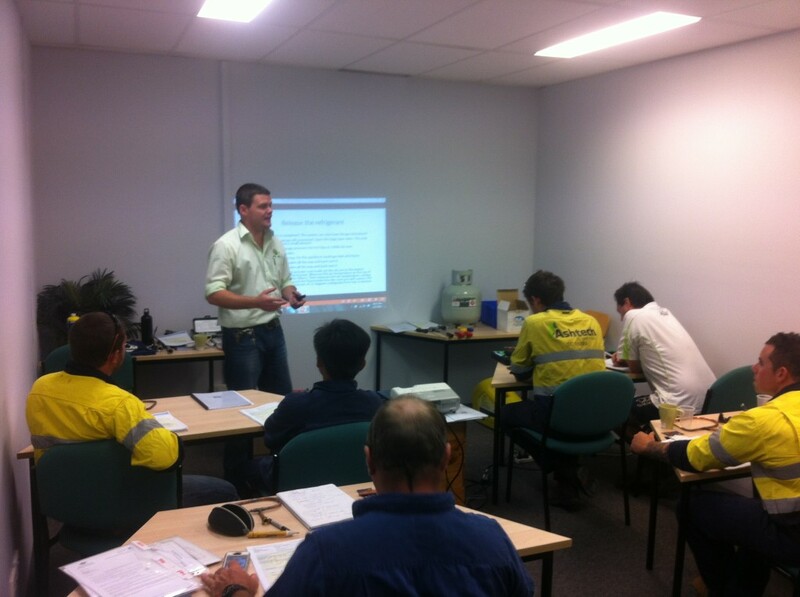 This qualification is part of the Electro technology Training Package. It covers the installation, commissioning and de-commissioning of single head, split air conditioning and heat pump systems to a prescribed routine where the maximum plant capacity for each system does not exceed 18 kWr. This includes wall-hung, floor and ceiling-suspended, cassette and ducted fan coil split systems and water heating heat pump systems. The air-conditioning refrigeration mechanic may also be the appropriately licensed person with responsibility under the relevant licensing authority in the State or Territory. Air-conditioning refrigeration mechanics licensing varies across States and Territories and additional requirements to attainment of this qualification may be required. The qualification has core units of competency requirements that cover common skills for the Air-conditioning refrigeration industry. 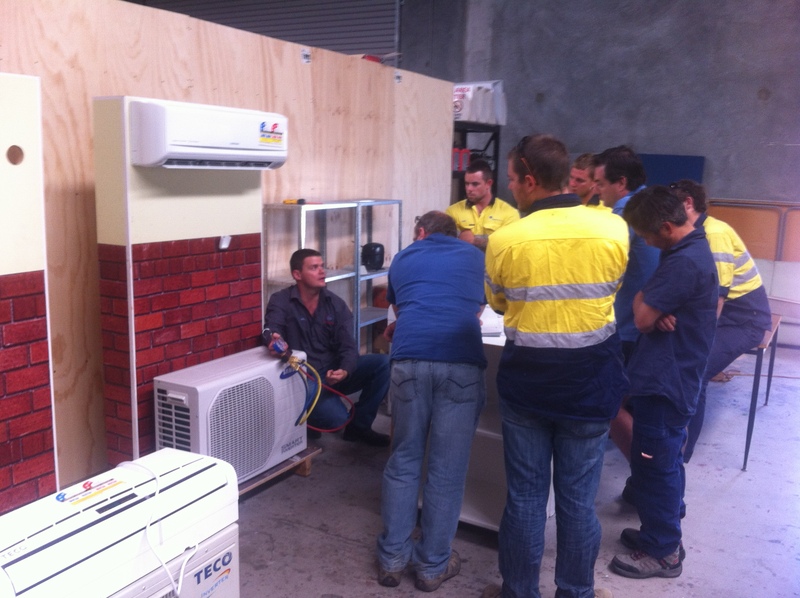 The Air-conditioning refrigeration industry and the UEE11 training package guidelines strongly affirm that training and assessment leading to recognition of skills must be undertaken in a real or very closely simulated workplace environment and this qualification requires all units of competency to be delivered in this context. The training package guidelines also strongly support a delivery and assessment approach that recognizes the skills and knowledge of qualified and non-qualified tradespeople working in the electro-technology industry. The delivery and assessment strategy for this qualification is designed to help students demonstrate their skills and knowledge. Additional units of competency may be required to meet registration requirements in various States and Territories. The delivery strategy applied in this Training and Assessment is based on some delivery and mainly assessment pathways. All assessments are done by ARCTICK licensed installers who observe and assess installations and validate the requirements of the student’s portfolio assessment provided to the College of Climate Change, the third party provider of training and assessment services. This qualification is generally delivered over a 6-12 month period based on the cohort group as outlined in this Training and Assessment Strategy. Consistent with the training package rules, the units listed below will be delivered for this course. UE11 Training Package Guidelines, Release 1.5, 20 June 2017, which contains additional guidance. The Foundation Skills describe those required skills (language, literacy and numeracy) that are essential to performance. Learning skills to recognize and respond to safety issues and procedures; recognize potential hazards and risks; identify and act on or report breaches in safety or environmental and heritage concerns; consider risk treatments; identify and manage risks to personal well being; identify and access communication equipment and systems; obtain permits and clearance in accordance with procedures; apply basic firefighting techniques; maintain a clean work environment; and adhere to site policies relating to smoking, drug and alcohol use. Reading skills to understand relevant information in compliance documentation and procedures; and familiar work documents. Writing skills to complete familiar records (sometime computer generated reports), including for example, hazard reporting forms, JSAs, Take 5 and Step Back reports. Oral Communication skills to establish and maintain communication with others to assist flow of work activities; and obtain and clarify information; and use language appropriate to site. Numeracy skills to understand site incident and injury statistics; interpret risks and manage own work time. Foundation skills essential to performance are explicit in the performance criteria of the Units of Competency within this Qualification. Students are required to have the following skills and knowledge in order to successfully complete this qualification:* • Reading and writing – a learner will be able to read, comprehend and write a range of texts within a variety of contexts. • Oral communication – a learner will be able to use and respond to spoken language including some unfamiliar material within a variety of contexts. • Numeracy and mathematics – a learner will be able to recognise and use a variety of conventions and symbolism of formal mathematics. Reading and writing – a learner will be able to read, comprehend and write a range of texts within a variety of contexts. Oral communication – a learner will be able to use and respond to spoken language including some unfamiliar material within a variety of contexts. To achieve this qualification, the student must demonstrate competency in 11 units. *This is subject to the students previous skills and experience taken into consideration by the RTO processing Credit Transfers and Recognized Prior Learning making the program shorter. ASSESSMENTS – All students will be issued with learner guides and assessments and which will include instructions and an outline of their assessments. All materials are bench marked and mapped against the relevant units of competencies; are reviewed as part of the validation strategies and meet the assessment requirements. The course will be delivered over 6-12 months with practicals done in 2-4 day blocks with a 1-2 day assessment. Please contact us for course costs, as location and subsidies may apply. * State legislation may vary from State to State, check with your Sate to comply with their licensing regulations.